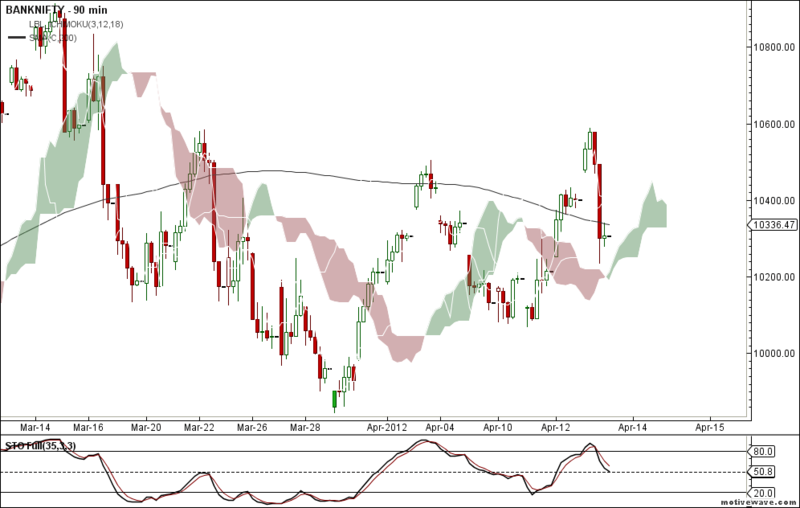 Nifty on friday ended with strong downtrend on all the timeframe. On the 90 min charts nifty turned to sell mode its attempt to test intermediate level 5324 ends in vain and resulting in sell signal once again currently cloud resistance comes near to 5262 zone. 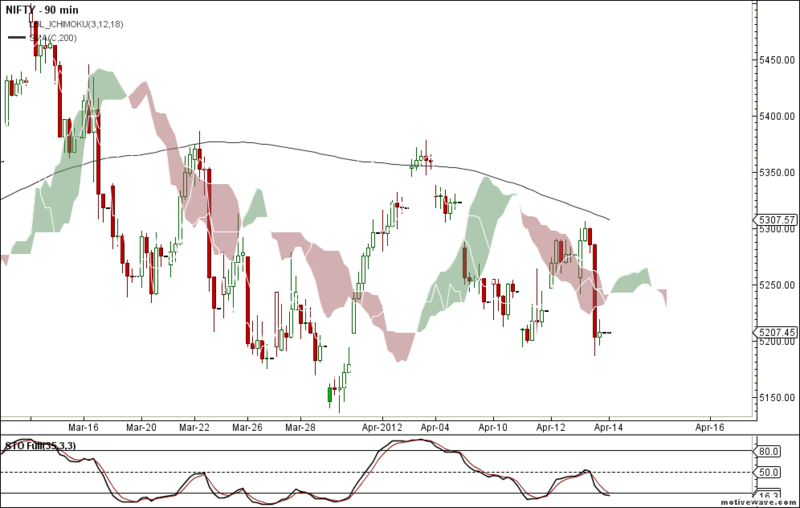 Bank Nifty on the 90 min timeframe is in buy mode but trading below the intermediate level (200MA ..i.e 10338) and cloud supports are at 10224.